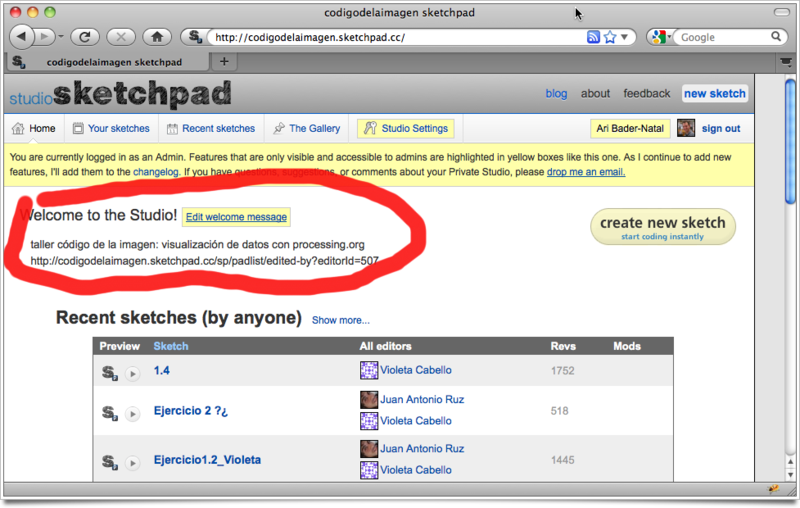 I think of studio.sketchpad.cc as an open studio, in which everyone can participate and interact. If you're teaching a class or workshop on programming with Processing, you may like this model but need a bit more control over the environment. 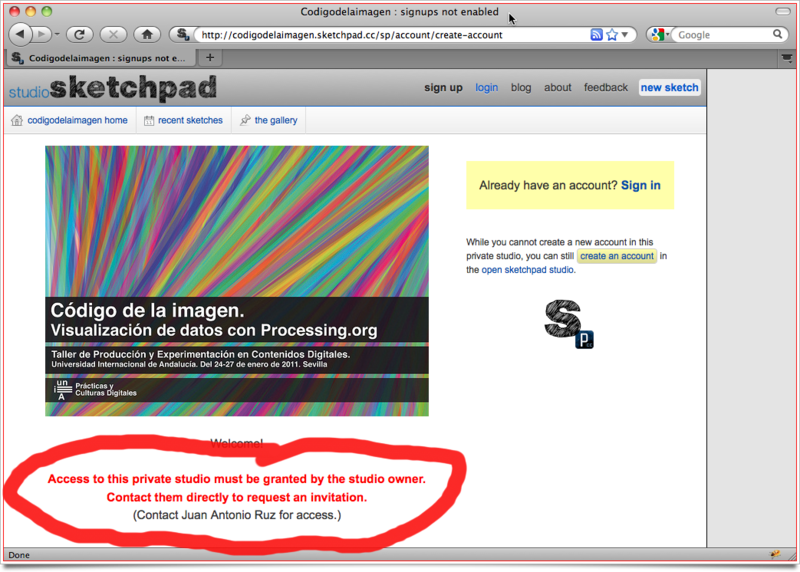 If so, you may want to set up a private sketchpad studio. 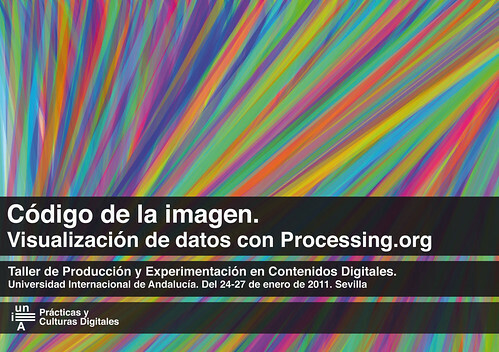 Código de la imagen: visualización de datos con Processing.org. 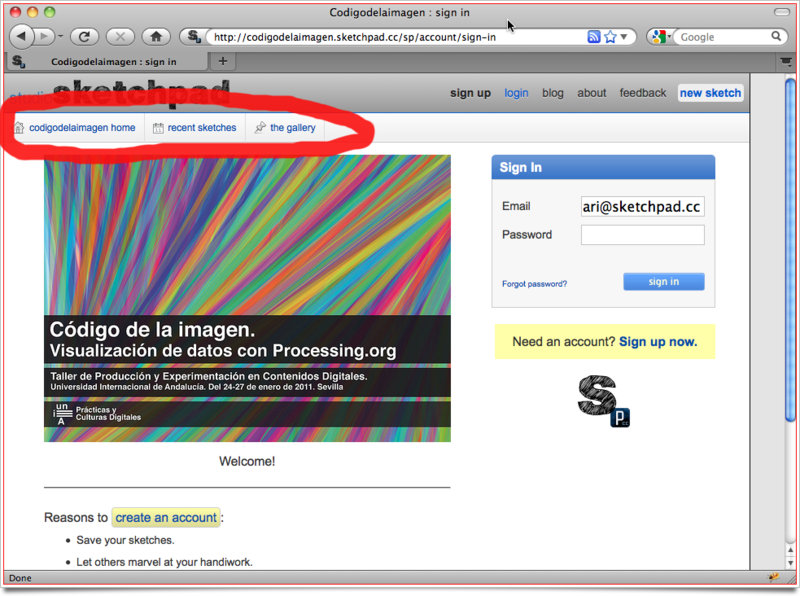 manage the list of people who have access to your studio. export all your studio data, in a single zipped file. Request a studio if this seems like a good fit for your course. I'd be happy to answer any questions that you have. 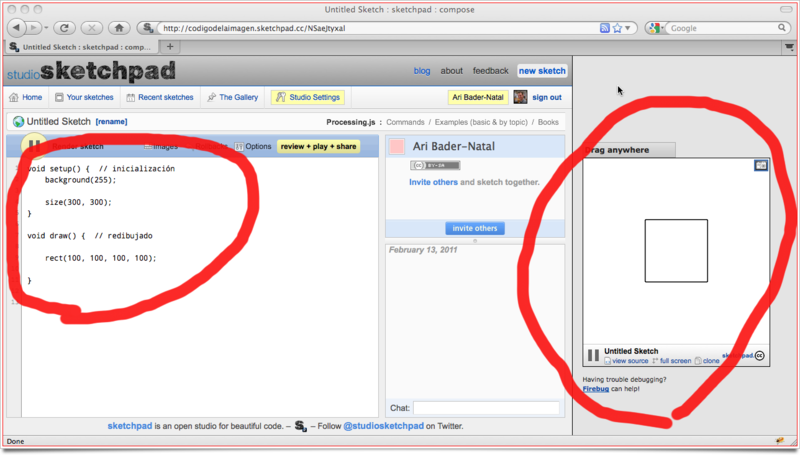 Click for a full-size screenshot of the studio settings page, circa 2010-02-14.